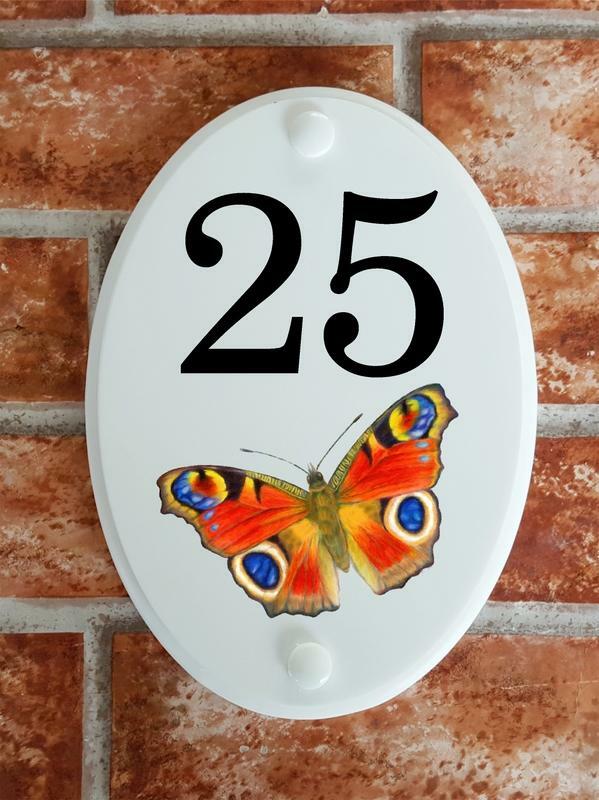 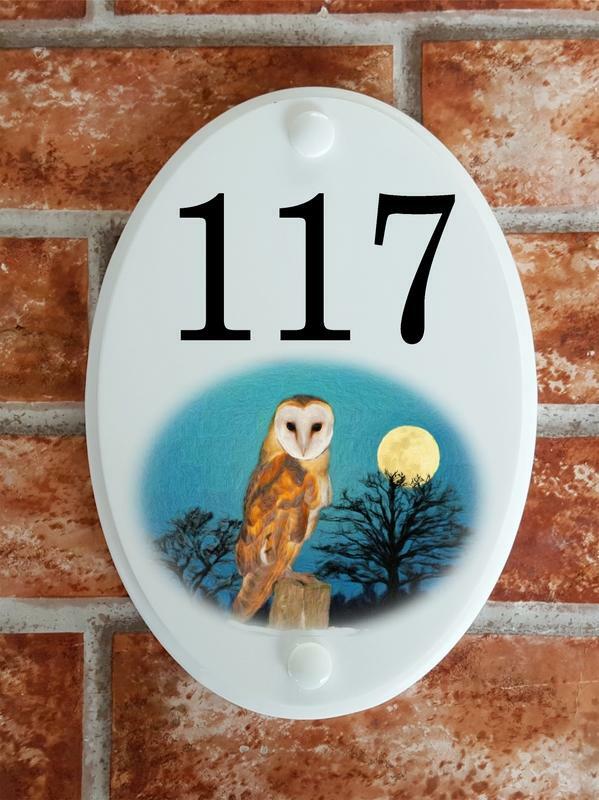 This range of pottery style house plaques feature prints of original artwork from our own sign artists. 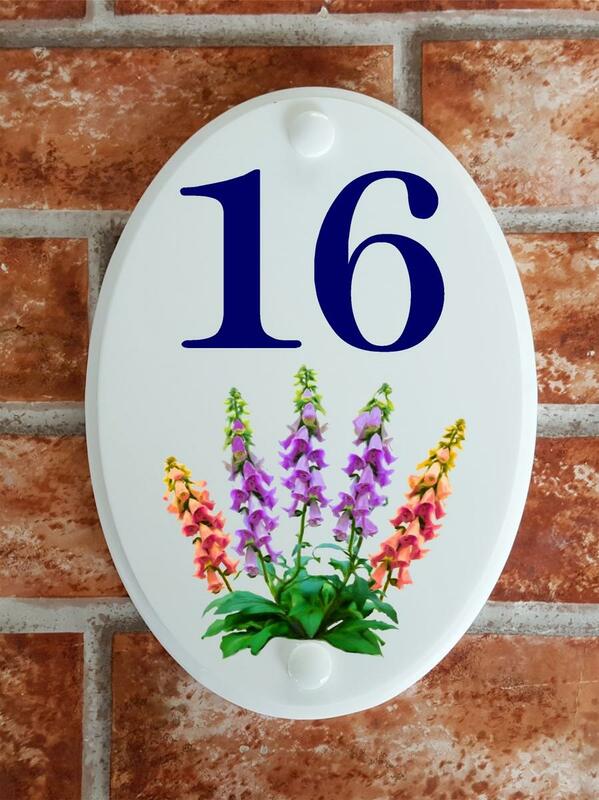 Hand cast in cultured marble these number plates measure approximately 210mm high by 150mm wide and are 12mm thick. 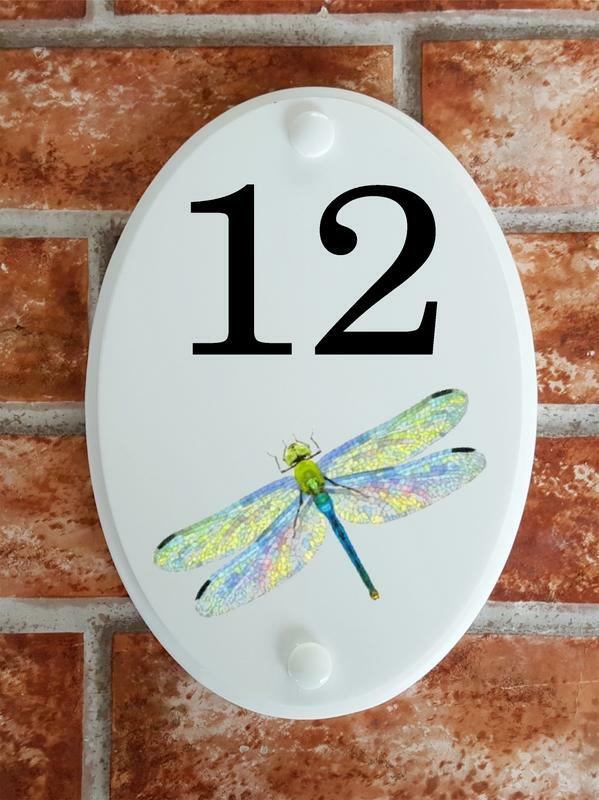 They have a creamy off-white appearance with small speckles of darker coloured marble and are completely weatherproof. 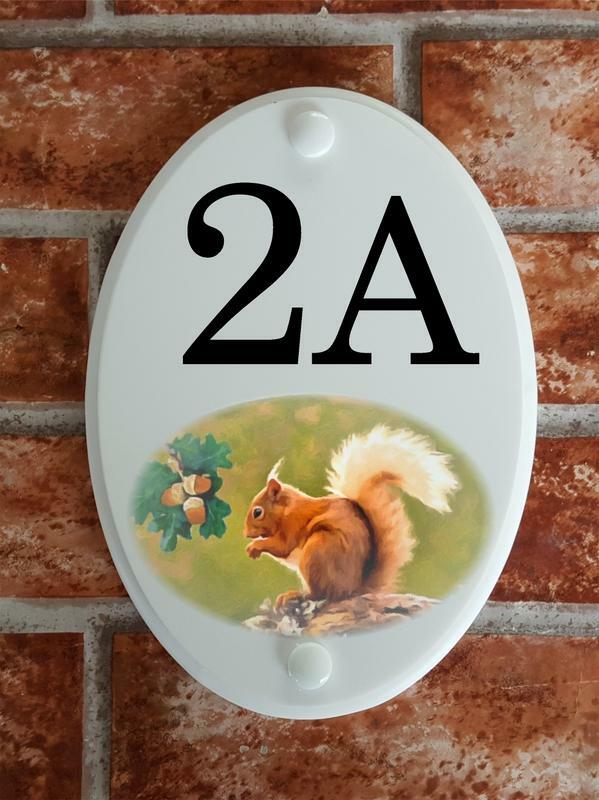 The UV resin prints are scratch proof and will not craze like some ceramics do. 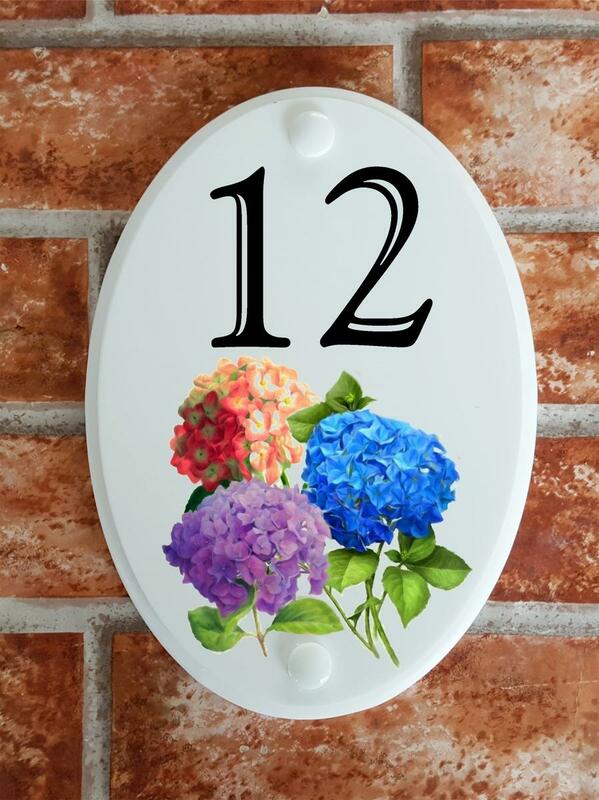 They are suitable for numbers with up to 4 digits or written numbers with up to 4 letters in either black or blue print. 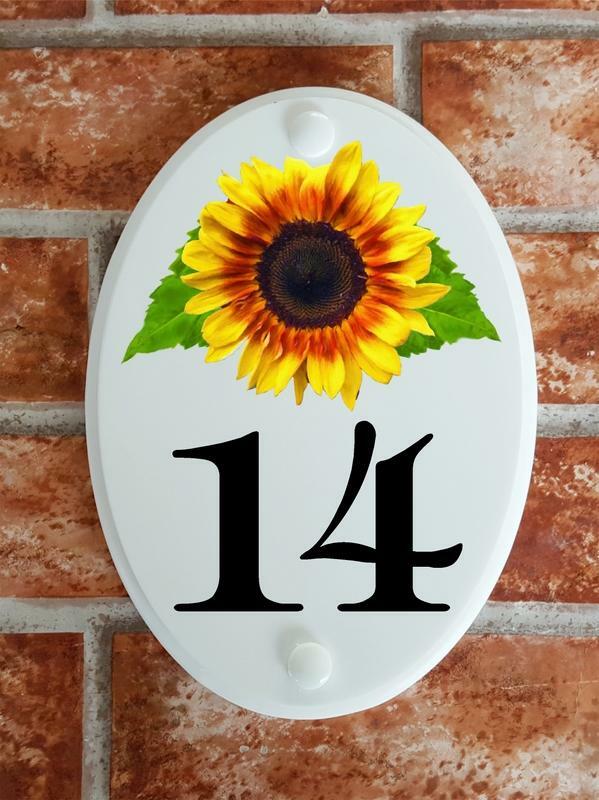 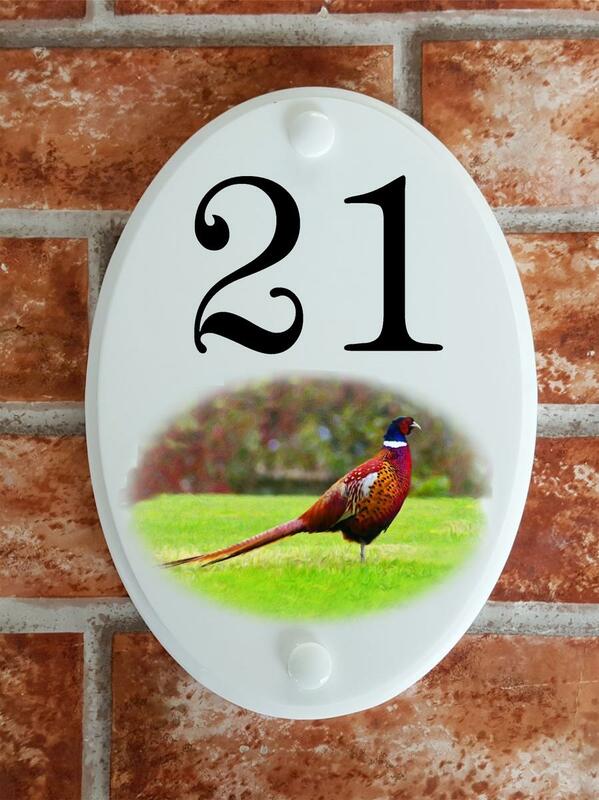 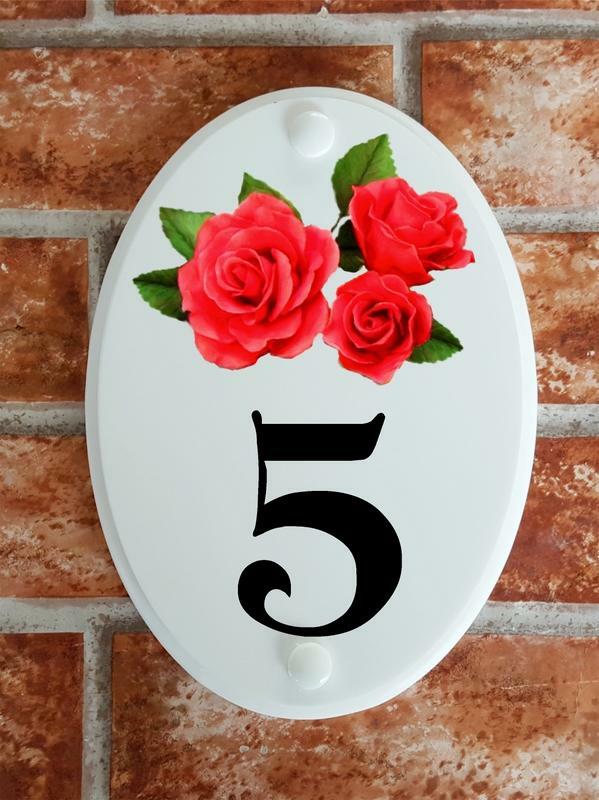 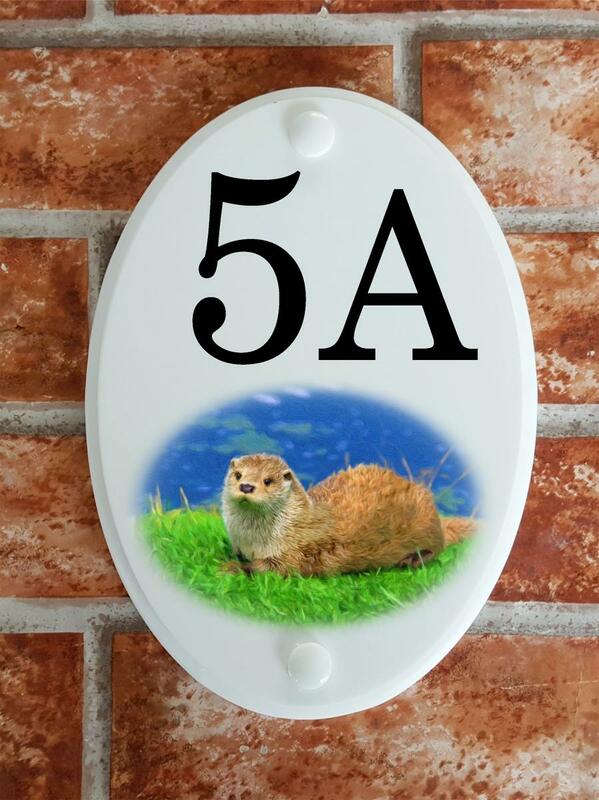 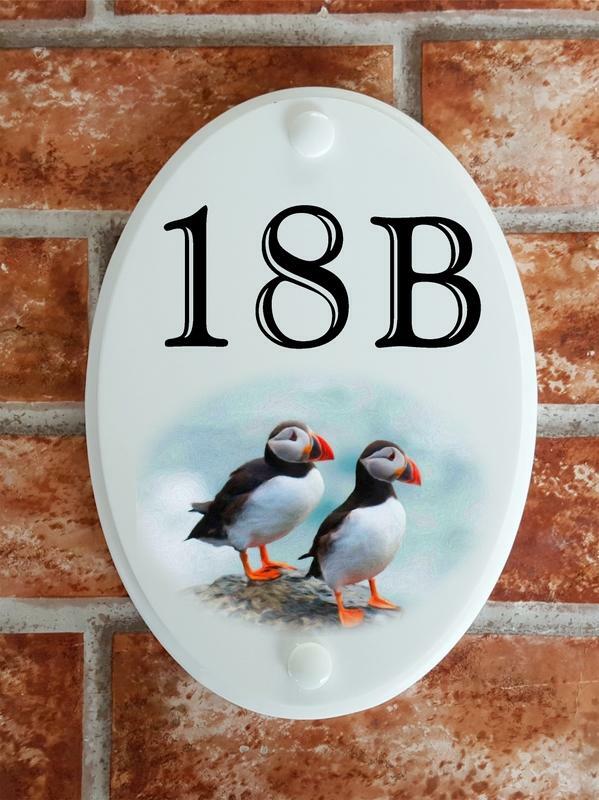 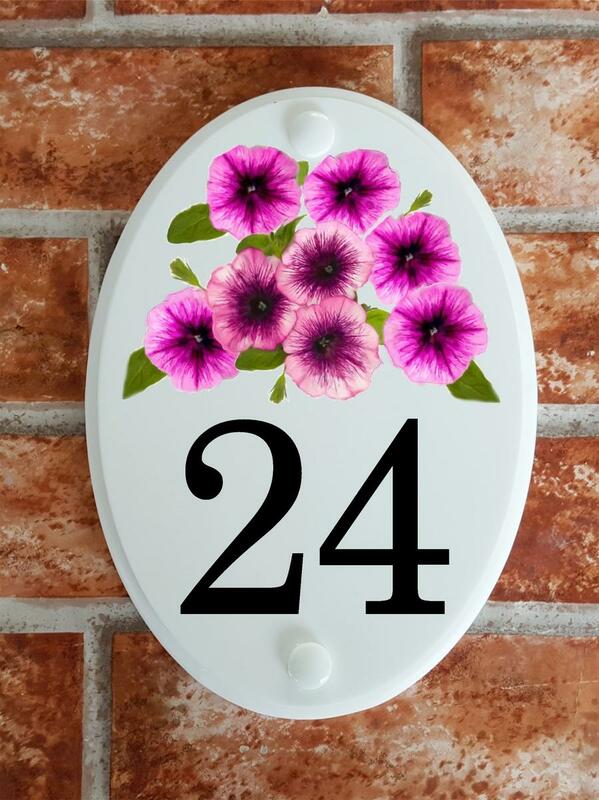 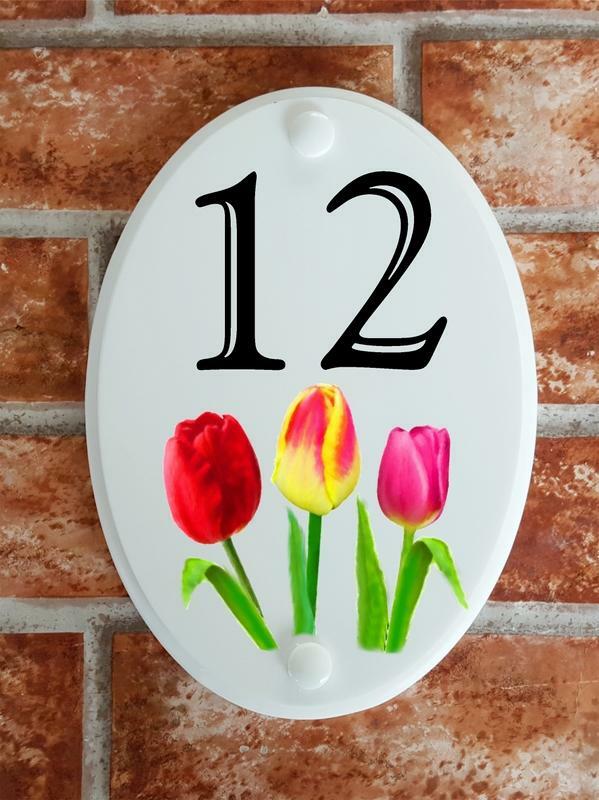 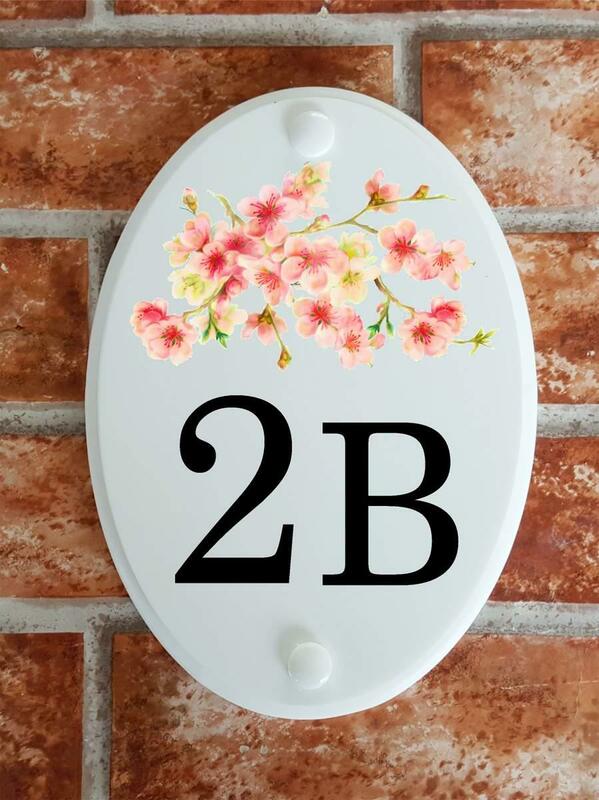 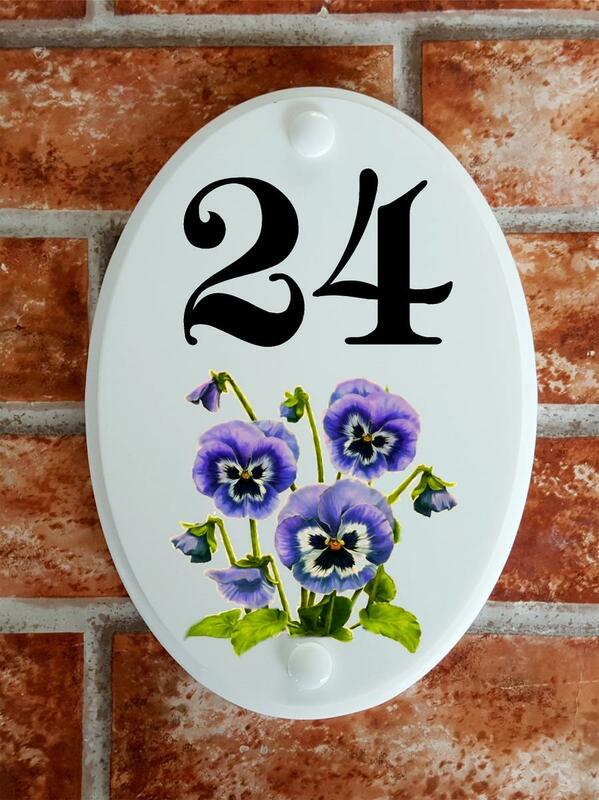 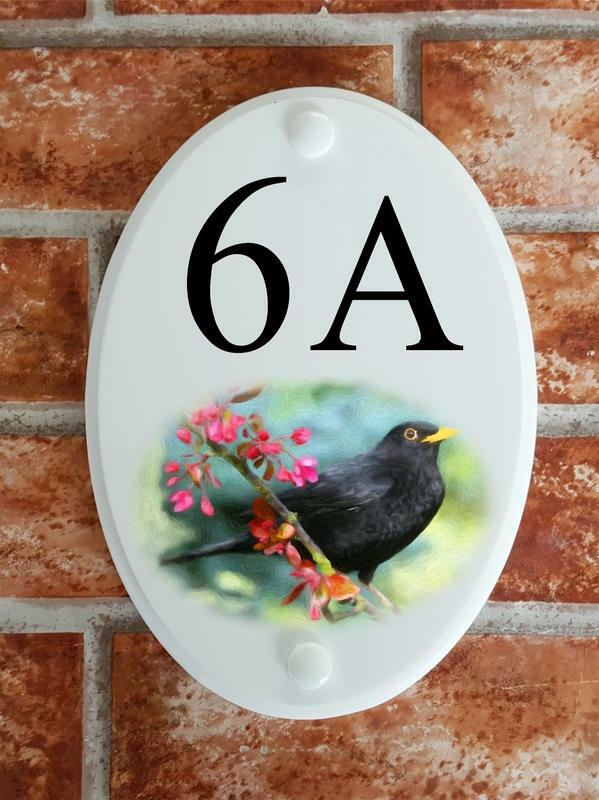 Choose from 7 different fonts and a wide selection of motif prints depicting birds, animals and flowers to personalize the entrance to your home.